TWT Travel Binder: Washington, D.C.
and see what’s new at the art museums of the Smithsonian. It’s a town full of history, culture, water, woods, green space…and romance. Head to our favorite D.C. restaurant, Lebanese Taverna, in Woodley Park. Stop into Politics & Prose to hear readings by some of the country’s greatest writers. and the stunning, soaring windows and stonework of the National Cathedral. Even if you’ve missed the early April bloom of the famous cherry blossoms, you can still meander through the best of Spring’s flowers at the National Arboretum and foresty Rock Creek Park. 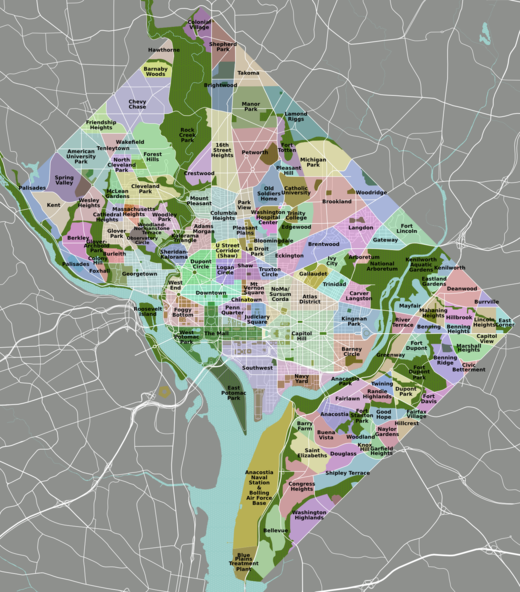 NGT’s Intelligent Travel: I Heart My City: Washington, D.C. Cooking Light: Best Cities: Washington, D.C.
Conde Nast Traveller: The Best B&Bs: Washington, D.C.
Have a Washington, D.C. tip, story, or blog post you’d like to share?